The team leader received a request from Langdale Ambleside MRT to open Mill Forge for a radio relay. 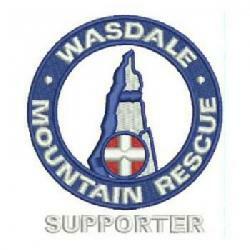 Single 37yr old male missing on walk over Crinkle Crags and Bow Fell. Langdale were searching north side and to the summits of those fells and putting search dogs into Green Hole etc. Dog Paul plus a Wasdale MRT navigator – also up Ling Cove but going to Ore Gap. Closed Mill Forge about 0300 hrs. as soon as the two Wasdale members were off the fell.